We will be offering a full day hands on beginners workshop on Saturday June 4, 2016. There is no better way to learn than in a bee yard where you can get the full experience. This will be a great opportunity to really understand all the parts and characteristics of a bee hive. We will examine frames within a hive reviewing signs of health, brood patterns and stages of their development, queen, worker and drone identification, cell sizes along with their uses. We will also making splits using the OTS method, swarm traps, and much more. This course will be a great place to find answers to all of the questions you may have. Fee for the course is $50 per person and the class will be limited to 12 participants. So get your registration in early….. 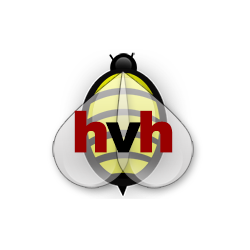 Contact us at BeeGroup@HVHives.com to register. Beautiful day, so much information, hands on experience, a wonderful workshop. it was a bit physically challenging in that standing in the sun on macadam for that length of time was difficult. Perhaps an hour at the hives, then ten minutes of sitting in the shade, hydrating and reviewing what was just done, then another hour at the hives, etc.. Just a thought. I was really spent by 4. Rob covered so much, and it was wonderful to have the opportunity to experience so many interesting situations. Wish the tendon in my thumb wasn’t compromised or I would have availed myself more of the hands on portion. Thank you Rob for a wonderful experience and sharing your knowledge! Excellent workshop! I can’t wait to do another. I learned so much & am so happy that I was able to even hold the frames & help clean the propolis! This was a perfect way to get familiar with the inside of a hive. It will be much easier to know what to look for and what I am seeing when I check my new hives now. Rob was very thorough and informative as we looked over many, many frames. And learning to mark the queen will come in handy as well. Thank you for a great day.